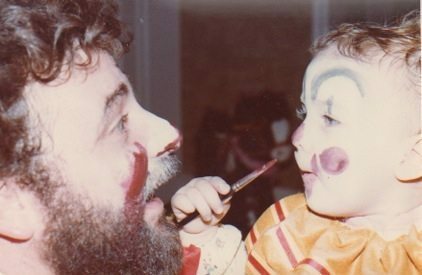 The most important lesson I’ve ever learned about acting is something that I learned from my Dad, a make-up artist. We may work in different fields, but we are both storytellers. 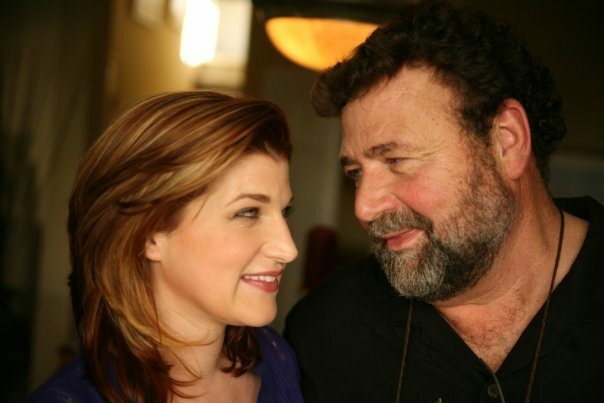 He’s taught me that all of the people we collaborate with on a set or in a theater are storytellers, and our common goal, in whatever project we are working on, should be to serve to the story we are telling. This is something my Dad, Edouard Henriques, instilled in me before I was even old of enough to realize it. As a make-up artist for the motion picture industry for the past 30 plus years, he gave me my fist glimpse into the world of filmmaking. When I was a child, we would have special days where I’d wake up at the crack of dawn to go to work with him. I was a super shy kid, not the type you’d peg to want to be a performer, but there was something about this world that I loved. I would sit in the make-up trailer looking through my Dad’s continuity books as he’d explain the story of the script to me. Then he’d walk me around sound stages to show me the different sets, break down what parts of the film they were shooting that day, and introduce me to actors in terms what characters they were playing. I didn’t notice it at the time, but he never placed much focus on how famous or important someone was, or how expensive or flashy something on the set was: Even at that young age, he was teaching me to value storytelling above all else. This came into focus more clearly for me several years later. It was the summer after my second year in college. I had been in one of those theater conservatory programs where they cut people every year, and I had consequently become very focused on myself. Was I a good actor? How did I stack up against my classmates? How could I be the BEST?! It was gross. All this desperate wanting to get things “right “ and be in control made me hate acting. It also held me back from growing as an actor. Not surprisingly, I was cut from the program. I thought my life was over, or my creative life anyway, but the truth was…I was about to get very, very lucky. With nothing to do that summer and no apparent future ahead of me, I drove with a friend from LA to Baja where my Dad was working on a movie. I didn’t think it would be anything more than a weekend of underage drinking (because the drinking age in Mexico is only 18). However, I just happened to be at the right place at the right time for something even better. 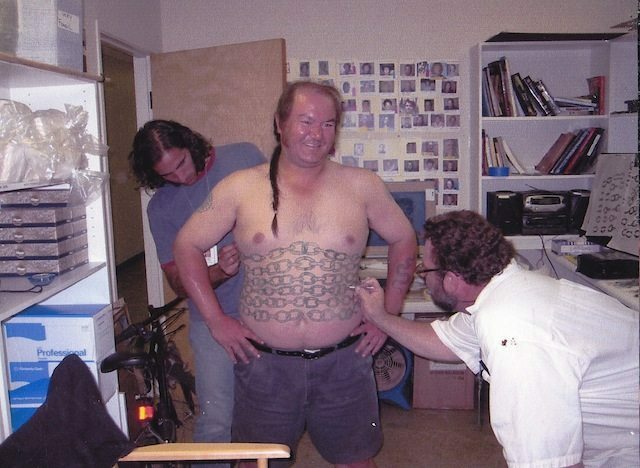 It turned out that the production was looking to hire an assistant…for the make-up department no less! Since I could stay with my Dad, I could work as a local hire (which means I was cheap). So, I got the job! The movie was Peter Weir’s Master and Commander: The Far Side of the World. Peter Weir is my Dad’s favorite director to work with, and I soon understood why. He, like my father, has an infectious love of storytelling. The film, Master and Commander is based on a series of books by Patrick O’Brian about the Royal Navy set during the Napoleonic Wars. That isn’t something that would have ordinarily piqued my interest, but as soon as I arrived on set it became impossible to not to become engaged in the world of this movie. I found myself surrounded by teams of specialists: historians, weapons experts, real-life sailors, and actual tall-ship builders. The various departments: art, costume, props, etc., were all crewed with people who had done copious amounts of research. There was an unusually large principal cast of about 12 actors plus 50 or so main background actors who had all been cast as (and trained together as) specific members of the ship. I watched firsthand as my Dad threw himself into the story. He designed historically accurate tattoos and sideburns. 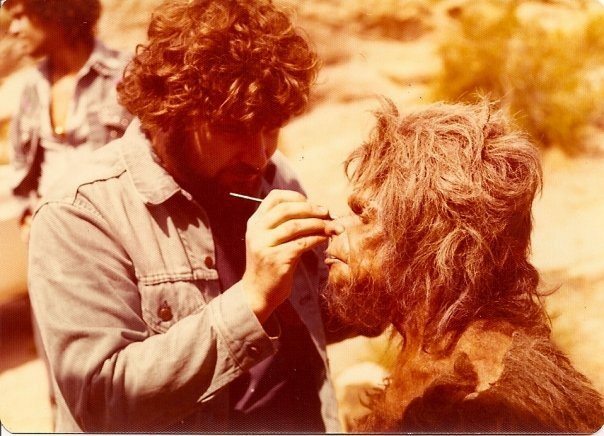 He did make-up tests to figure how to make the actors look dirty and sun-kissed enough to appear like they’d been at sea for months, and he figured out how to show the progression of their exposure to the elements as time passed in the film. Finally, when it came to designing make-ups for the battle scenes, he made sure that every wound and scratch he applied told a specific story about that character’s position on the ship and his experience in battle. I found all of this extremely exciting, and I felt driven to do my best work. I may have only been a PA spraying fake sweat on background actors, but I was determined to put everything I had into it. In direct contrast to my acting life, this was not because I wanted to prove myself to anyone and not because I wanted to be “THE BEST”. It was because I felt like I was an integral part in something bigger: Telling a story! This was an amazing realization for me, and it changed my outlook on acting. I eventually returned to actor training, but it was now clear that my reason for doing so was because I wanted to tell stories, and this was how I wanted to tell them. Suddenly, I found myself embracing acting with a lot less ego, worry, and self-consciousness and a lot more joy. This was also first time as an adult that I realized how inspired I was by my Dad as an artist in this business. He doesn’t do make-up to win awards or impress people. He knows that his work is best when it’s seamless and when it pulls the audience into the story, rather than taking them out of it. His make-up disappears and melds with the actors, leaving only the characters. I’m pretty sure that if you saw a movie of his and didn’t realize that half of what you saw was make-up, but you did feel like you had been fully engrossed in the story, he would be proud. I understand that not all projects end up being utopian creative experiences. A movie that seems great during production or a play that has a lovely rehearsal process, may not result in a magical finished product. And vice versa. But I do believe that as professionals in any aspect of this industry – whether we’re actors, directors, editors, grips, visual effects artists, etc. – we only help ourselves and each other when we remember to be in service to the story we’re telling. When people are not in service to a story it’s obvious: It’s when an actress refuses to have a period hairstyle because she thinks it’s not attractive, it’s when a director adds a gratuitous shot just because it “looks cool”, it’s when an actor manipulates a script because he wants to have a good crying scene. Really, it’s anytime we make ourselves or our work more important than the story we are telling. When we remember that we are all storytellers collaborating on a common narrative, maybe, just maybe, that is when we get closer to making magic. Erin Henriques is an actor and writer. Originally from Los Angeles, she studied acting in Chicago (DePaul University) and London (LAMDA), worked as a make-up assistant on a movie in Mexico (Master and Commander), and briefly lived in New York (seemed like a serious actor thing to do). After amassing a lot of new life experiences and more than a lot of debt, she finally returned home to LA where she’s been working on film, television, web, and theater projects ever since. A fan of LA’s comedy scene, she completed the program at the Groundlings and has performed at IO West, UCB, The Steve Allen Theater, and The Hollywood Improv Lab. Currently, Erin can be seen in “Mandie and Earring”, a comedy web series about a pair of eccentric children’s singers. She is also writing her first feature-length screenplay. But not at Starbucks because that would be a cliché. Next Article “All Shapes and Sizes Welcome” at Comic-Con!